Welcome to my website! My goal is to provide the services you need to help you create a successful web presence for your business. If you are like most small business owners, you don’t have the time or the technical know-how to manage your website. Are you looking for help because instead of an awesome marketing tool, it has become a constant source of stress and aggravation? My happy-place is to help people like you with their business websites. When I was a kid, my grandfather owned a bowling alley in Three Rivers, Michigan called Frosty Bowling Lanes. One thing I loved to do when I was about 5 years’ old (besides drink Grape Nehi and stand on a chair and play pinball) was sneak to the back and watch the pin setting machines! My nerd genes are inherited. My dad is a horticulturist and a published writer, and both of my grandfathers and an uncle were engineers. Another love of mine is the internet. I’ll never forget the first time I heard the tones and beeps that meant I was connected to the world wide web! In 1997, I decided to build a website to advertise my office support service (the old term for virtual assistant). That little project got me hooked on website development. Learning HTML and CSS came natural to me. And since I’m a nerd, it was easy for me to learn the technical aspects of web hosting and running a website. I also love to write, which is also in my genes. After my kids were grown, I went back to Austin Community College and received a certificate in Business and Technical Communications with an emphasis on web technologies. Additionally, I received certification in SEO copywriting from the SuccessWorks SEO Copywriting Institute. Then one day I discovered the wonderful world of WordPress. It’s such an excellent tool for creating small business websites, I quickly added WordPress development to my services. 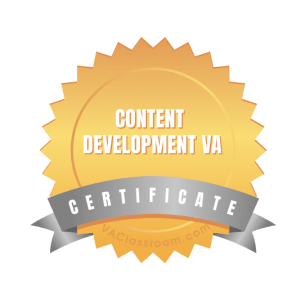 So not only can I write your web content for you, I can format it and upload it to your website, too. And I continue to update my skills with additional training and certifications to serve you better. I’m ready to put my 20 years’ experience running small business websites to work for you! My goal for your business is the same as my own… To help you get found online so your business can grow and prosper in your niche market. Contact me today so we can discuss how I can help you get found and your telephone ringing!